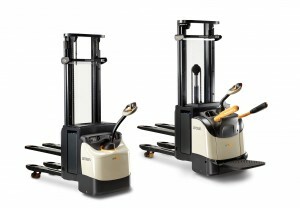 CROWN, one of the world’s largest materials handling companies, has announced its Crown ES/ET 4000 Series of stacker forklifts has earned a GOOD DESIGN Award from The Chicago Athenaeum:Museum ofArchitecture and Design and the European Centre for Architecture Art Design and Urban Studies. Internationally-renowned design institutions and associations have recognised Crown forklifts with more than 80 awards since 1965. This recognition marks the 13th GOOD DESIGN Award for Crown Equipment. The GOOD DESIGN jury honoured the Crown ES 4000/ET 4000 in the industrial category for high-quality design that reflects Crown’s understanding of the complex needs of forklift operators in daily work, as well as the company’s ability to provide solutions to improve the forklift / operator relationship.